The Spokane City Council might look to fund the Central City Line on its own. While it failed in the county, the measure passed overwhelmingly within city limits. With the STA board cautious about asking voters a second time for a tax increase, the Spokane City Council has been looking for ways to fund the project themselves. At Monday's meeting, the council voted 6-1 to take the first step to make that possible. 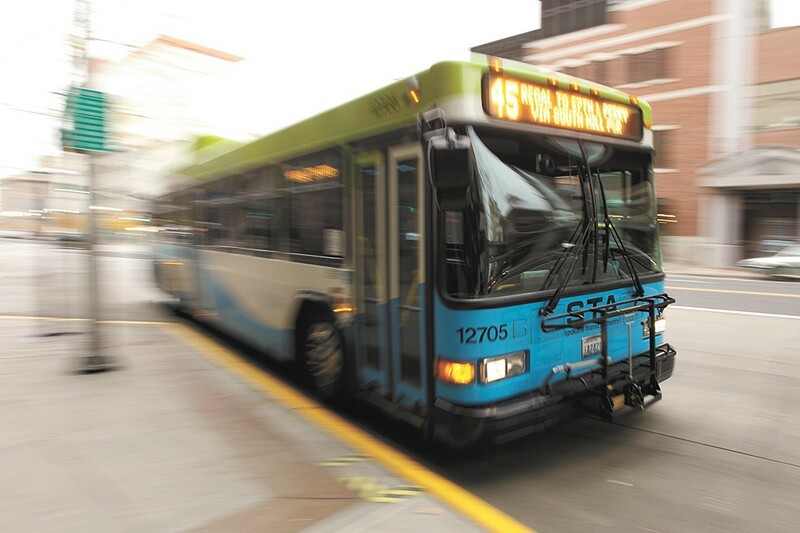 City Councilmember Amber Waldref's proposal allows portions of the funds raised by the car-tab-funded Transportation Benefit District to be used for transit projects. Those funds can already be used for street improvements and improvements for pedestrians. "It doesn't actually finance any improvements. It just changes the language to allow that to happen," Waldref said. "Funding transit likely wouldn't be done with car-tab fees. It would likely be done with a vote of the people, using sales tax." In other words, it gives the council the ability to, say, ask city voters to fund a tax increase to "go it alone" and fund the Central City Line themselves. City Councilman Mike Fagan was the sole vote against the proposal, concerned that there are no guardrails written into the legislation stopping car-tab fees from being used by the council in the future to pay for transit projects. Waldref's proposal also attracted criticism from the public, who argued that any money coming into the TBD should be strictly reserved for road improvements. Tim Benn, a former city council candidate, brought photographs during his testimony against the measure, showing streets with potholes and bare, exposed cobblestones. Spokane County will see an influx of nearly $3 MILLION over the next three years to improve its criminal justice system. This week, the MacArthur Foundation is set to announce that Spokane is one of 11 cities to receive grant money from its Safety and Justice Challenge — an effort to reduce overpopulated jails and rethink incarceration in America. Spokane's share of the grant comes to $1.75 million over two years. Spokane County and the city of Spokane will kick in an additional $1.2 million over the next three years, though exactly how much each entity will contribute has yet to be decided, according to Spokane County Chief Operating Officer John Dickson. The money will go toward programs and technology aimed at reducing the jail population by 17 percent in the first two years, and 21 percent by the third year. Currently, the number of people locked up in Spokane fluctuates from about 800 to 950 people, according to Spokane County Detention Lt. Mike Sparber. In part, the money will fund additional pretrial services officers and tools, such as electronic home monitoring, to implement a more robust pretrial supervision program. "From a judge's perspective, it's really going to allow us to make much better decisions whether to hold people or release them," says Spokane Superior Court Judge Maryann Moreno. She adds that judges typically have only two options: release or cash bail. "Keeping them in jail is not doing anything to help them, but it's also not making the community a safer place. This is about making sure the right people are in jail and not locking them up because we have nothing else to do with them," Moreno says.